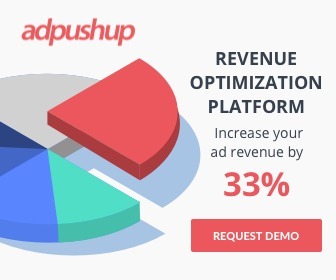 Are you struggling with generating a constant stream of revenue from your blog? Or does creating high-quality content seem like a herculean task? I hear you. Blogging can get tricky and redundant. The internet is full of noise and reaching your target audience can sometimes feel like shooting arrows in the dark. As a publisher, there are many things you need to take care of – researching, writing, driving traffic through SEO and social media marketing, building relationships with other bloggers, etc. and I also listed some additional resources for the above four (total number = 160+). For every authority blog, I start with a brief paragraph about its establishment and the subjects they write on. Then, I share some relevant posts and resources along with every blog. I’ve tried to cover a lot of ground concerning blogging – from post ideas, researching and writing tips to email marketing, branding, Twitter/Pinterest marketing, revamping old content and building relationships, among others. I’ve mentioned 160+ resources that cover most crucial things on building an audience, branding, marketing etc. Together they can be said to be the best blogging advice. Being full of useful resources, I would reckon you to bookmark or pocket this post so that you can come to it later. Towards the end of the post there is a surprise waiting for you; make sure you don’t leave mid-way. Started by Jon Morrow, this blog has many value adding posts on driving traffic, building your email list and becoming an authority in your niche. Jon was the former associate editor at Copyblogger and founder of the prolific guest blogging program. -101 writing resources (a result of many months careful internet scouring) in the form of eBooks, magazines, videos, communities, etc. They are a pioneer in the make money online blogging niche. Founder Darren Rowse has been blogging since 2002 and has written in many niches besides blogging, like pop culture and spirituality. Problogger was started in 2004 and Darren has added over 7000 articles, tips and case studies in Pro Blogger archives. -You should also check out the cool downloads at Problogger community including a broken image finder plugin, sticky top bar messenger, infinite scroller, etc. For the first two years, Ramsay, the founder, blogged anonymously (writing 99 posts). And he managed to amass over 10,000 blog subscribers. He is a blogging expert and sells blogs for 5-figures. Ramsay wants bloggers to enjoy the kind of freedom and independence he enjoys. So, he has developed Blog Tyrant into an engaging community and addresses members as tyrant troops. This is another marvelous blog on business blogging, social media marketing, SEO, content marketing started by Lee Oden in December 2003. It is ranked number 1 small business blog on Technorati. Lee has shared his expertise on online marketing writing over a million words. Read the latest posts on blogging here. John Chow’s blog is among the top money making blogs and read by over 200,000 readers daily. He went from 0 to 40,000$ per month in just two years, working only 2 hours per day. John claims to be the ‘original dot com mogul’ and his book on making money online became a best seller on Amazon in a week. Read his latest posts on blogging. At Daily Blog Tips, you get posts on everything concerning blogging. From preparing your blog for first time visitors, get efficient by avoiding bad blogging habits, getting around with WordPress and other web tools, social media marketing, etc. You also get a visual flavor in the video blog reviews by DBT. Marko Saric started the blog in 2008. It has an authentic voice and a good visual treat along with text posts. This is another value adding blog by a six-figure money making blogging expert. Zac Johnson and Kevin Muldoon started Blogging Tips in 2007. And they along with a team of high-quality writers from different parts of the world share tips on succeeding in the blogging world. They help bloggers to become an authority in their niche. -Browse through the interviews section having expert advice from likes of Pat Flynn (from Smart Passive Income), Spencer Haws (from Niche Pursuits), Brain Dean (from Backlinko), etc. Adam Connell, the founder of Blogging Wizard has an inspiring story of how he turned things around online after failing in his first year building a record label (making only £6.21). After this debacle, Adam launched a new service at a marketing agency (where he worked as an Operations manager) and grew its revenue into 5 figures in 3-5 months, working only 15-20 hours per month on marketing the service. He has also built numerous successful blogs. -You might’ve got a vibe that Adam works at a tactical level. Here are 20 productivity tools from him to help bloggers get organized, automate tedious tasks, improve writing skills, etc. Harsh Agrawal started this blog in December 2008. His motto was turning a business out of blogging. Addressing his members as shouters, the blog is based in India and has won many awards. It is extremely popular in the Indian blogosphere for its useful online marketing and blogging tips. Started by Sue Anne Dunlevie, the blog shares tips on selling your own products, services, growing audience, etc. Sue aims at helping bloggers build a lifestyle friendly business. -Getting the first subscribers on your blog can be hard. Grab the free eBook on attracting 1000 subscribers in 30 days. –67 free (or low cost) tools for blogging effectively, getting more subscribers, generating blogging topics, analyzing headlines, website analytics, social media marketing etc. This news site has been around since 2003. It publishes latest happenings in the blogging and WordPress world. -It has a job board for bloggers and copywriters. -A list of books on blogging by likes of Huffington Post, WordPress Indepth etc. Started by Ileana Smith in 2009, the blog publishes blogging tutorials and posts around social media marketing and YouTube training videos. She also runs a podcast on blog promotion, YouTube content creation, building email list with AWeber, social media marketing, etc. Neil Egginton started We Blog Better in 2008. He wanted to be seen on web and not be drowned in the internet noise. He is a self-taught prolific blogger and shares tips on generating traffic, building a stronger network, writing better blog posts, making money, etc. Yaro’s inspiring story of making money online dates back to 1998. Initially, he made 50-100 $ from banner Ads and by early 2000s he was making 500-1000$/month. He even started an editing business – betteredit.com and tried to leverage blogging to increase his business. He has sold a couple of websites – MTGParadise.com for 5 figures and BetterEdit.com for six figures. In 2005, Yaro started entrepreneurs-journey to share his previous entrepreneurial experiences. He is a big fan of email marketing and relied on it to grow his blogging income to 100,000$/year. The story behind this blog is very motivating – at 25, John Paul (had no job and a disability that prevented him from doing a normal 95. He was determined to find out a way – in 11 months he was earning enough money online to stop his disability checks. Started by Jeremy Schoemaker in 2003, the blog has published over 4000 value adding posts in last 10 years. -Detailed post on how Jeremy made 1 million from a 99 cent eBook on email marketing. WPBeignner is a Wikipedia for WordPress with top quality tips, tricks in-depth tutorials for WordPress websites. Syed Balki started it in 2009 targeting DIY users. It distinguished itself from the technical WordPress tutorial blogs present during that time. -The Best WordPress tutorials of 2014 on WPBeginner including moving comments from one post to other, resizing images without losing quality, switching from jetpack to AWeber, etc. Lorelle VanFossen is a WordPress expert and hosts the WordPress school. She started with a blog id of 72 on August 16, 2005. And has contributed (created or edited) 600+ articles to WordPress Codex – the online wordpress manual. She writes about blogging, web design and social media. Enstine Muki loves PHP, development and writing. He has created tools like Broaded Net (in beta phase) for driving traffic to websites without SEO and social media marketing. And he has developed WordPress plugins like cashdonator for generating more income from your blog. Mike Wallagher, who has built many blogs, started it. He is a WordPress expert. As a WP developer or designer, you can learn lots from his posts. -A WordPress cheat sheet with codes for navigator menu, template, php snippets for header, etc. -An advanced WordPress sheet with more customization possibilities and code for previous and next post links, styling individual posts, unique images for different categories, css theme details etc. Launched in 2004, it is run by P. Chandra. QOT publish software tool tips, blogging tips, social media marketing tips and SEO tips. They are based out of India and have won awards by BlogAdda, listed in top blogs by Daily Blog Tips and respected top 100 WordPress blogs by WPMU. Jeff is widely known as a social media influencer – Forbes Top 50 (has 306 K followers on Twitter). His blog has posts on social media marketing, SEO, email marketing and content marketing. They are innovative SaaS Company offering cloud software. While, their product will help you make intelligent marketing decisions, the KISSmetrics blog offers tremendous marketing advice and value. The posts mainly revolve around online marketing, analytics and testing. -If you are not in the mood of reading, KISSmetrics has insightful visual resources – webinars and infographics on a range of subjects including growth hacking, content marketing, web design, marketing research, landing pages, etc. Michael Stelzner founded this online magazine in 2007. They have 90 awesome writers on their team delivering high-quality articles to help businesses connect with their customers, increase traffic and sales using social media. They also run two popular podcasts to keep you abreast with the latest happenings in the social media world. He is widely known as a thought leader on social media. And he has authored several best-selling books on social media marketing. On his blog, he writes about how evolving technologies affect businesses and society. The Brian Solis blog is ranked among the top 10 marketing blogs in Adage Power 150 and it is among the top 100 business blogs by Technokrati. As a blog publisher, you can expect valuable advice on marketing, branding and selling your products from him. Neil is an internet marketing classic and a prolific blogger. You’ve to follow his posts at both NeilPatel.com and QuickSprout.com. At NeilPatel.com, he shares the strategies he has used to cross 100,000 monthly visitors. And QuickSprout posts are mostly on online marketing. Neil’s ideas are original and practical. I love his predictions on where internet marketing is headed and the case studies about his investments in life and online. As the name of blog suggests, Pat Flynn(founder SPI) is a passive income expert and shares strategies on online marketing for generating an income. Nevertheless, you can learn a lot on blogging and internet marketing from the wealth of experience he shares on his blog and 3 podcasts. -Check Pat’s complete list of tools for keyword research, landing pages, email marketing, hosting, advertising, testing, security, etc. -Don’t miss the best of SPI section. It has posts on blogging practices, affiliate marketing, YouTube video strategies, building an email list etc. This is a brilliant blog on developing niche websites by Spencer Haws. Since 2009, he shares experiences of building websites, buying and selling websites, taking up software development projects on the blog. He even shares his failures, making the blog’s voice human and authentic. -You can also try the awesome Long Tail Pro free for 10 days. Erik Emanuelli started the blog as a hobby 5 years ago and has now managed to generate steady income online. He shares tips on blogging, SEO, social media marketing besides generating passive income. -Mail Chimp is widely preferred for email marketing campaigns. Erik reviews send in blue, stating it a viable and much cheaper alternative to Mail Chimp. Cool blog name, right? Avinash, the founder of the blog believes that we assume and create complex scenarios around data. He wants us to keep it simple and that is what the “Occam’s principle” is all about. Avinash Kaushik started this analytics blog in 2006. He has authored two bestselling books – Web Analytics 2.0 and Web Analytics an hour a day. You can expect digital marketing and analytics advice and tools to use for your blog from Avinash. They are thought leaders of content marketing covering various industries – B2B, B2C, Tech, Travel, etc and write under media, brand, social media tips sections. The best part is they work with brands day in and day out. So, they know what works and even have a section dedicated to case studies of their own and other brands. -You can tune into his podcast for more tips on self-improvement, advertising, marketing, etc. This is a blog by Tim Ferris – a pioneer in defining passive income and self-help. Tim wrote a book on ways to make money without attaching your time to it that went on to become a best-seller on Amazon. He writes about increasing productivity and lifestyle design. And runs a podcast interviewing experts from various fields. Harleena Singh started Aha Now in December 2010 as a family blog. In 2012, it grew to a blog about personal development and was in the list of the top 10 global personal development blogs for 2015 by The Start of Happiness. Although a self-improvement blog, there are value-adding resources at Aha-Now for bloggers. If you are a web publisher, we’ve got you covered. We share blogging tips on writing, increasing CTR, increasing subscribers, advertising and monetization tips, testing and optimization, etc. Surprise – Forums to help you with blogging! At V7N, you get help with selecting your niche, building links and SEO, blog promotion and anything concerning blogging. It has other sub-forums on web designing, web development, writing for web and even legal issues on the internet. Overall, it has 250,000+ members and 300,000+ threads. Since 1997, warrior forum is widely considered the best forum on internet marketing. It has 921,000+ members and 616,000+ threads (for everyone from total novice to experts). Everyone is helpful and you can learn a lot on online marketing by reading through previous posts and discussions. They have some of the best information and advice out there on PPC, CPA and affiliate marketing. Currently the forum has over 180,000 members and 145,000 threads. It has sub-forums on traffic and content, design, development and programming, and hosting and domains, etc. You can learn lots on blogging, SEO and more on this forum. Warning – Do your research before posting in this forum or else be ready for some vulgar comments directed at you. Moz has a brilliant community (not a conventional forum) of helpful people with a solid SEO background to help you with technical and non-technical SEO. It is a great place to hangout, learn a lot and build relationships with search marketers. You can post your questions here. You can even contribute blog posts at YouMoz. If the post is high quality, it is published on the main blog, giving you tremendous exposure. A fun thing is gamifying of the community by adding Moz points for completing your profile, commenting on posts, publishing posts at YouMoz, etc. After you gain 200 points you can remove the no-follow tag from one of the URLs on your profile. What a huge win that is! This is the official WordPress support community and people are very helpful across all sub-forums. If you’ve any problem with themes, plugins, any buttons or bars on your page or installation, then this is the place for you. Some advanced hacks and detailed troubleshooting advice is also available. For some professional themes, you can get support by posting in relevant sub-forums. This community was started in July 2014. The blogging forums have a good discussion on getting traffic, being a better blogger and even celebrating your blogging success. You can expect value-adding responses that solve your query. There are forums on SEO, social media, WordPress, self-improvement, making money, etc. Inbound Marketing and Growth Hackers have a Reddit style platform – anyone can post links in the forum. Then, the most voted one is the most actively discussed. It is a good place to discuss latest posts and happenings in the online marketing world. Whether you are just starting or at an advanced stage of blogging or content marketing, these blogs are a great place to hangout. I hope that you find the resources and posts useful. You might not immediately need these tutorials, posts or resources. Pocket the post so that you can refer it when you are stuck and need any help with blogging. If you want to find out advice on a specific subject, please search (keyboard shortcut – Ctrl + F). Example – Say you want tips on email marketing, then press Ctrl + F. And key in “email marketing.” You should get posts, case studies and blogs on the same. 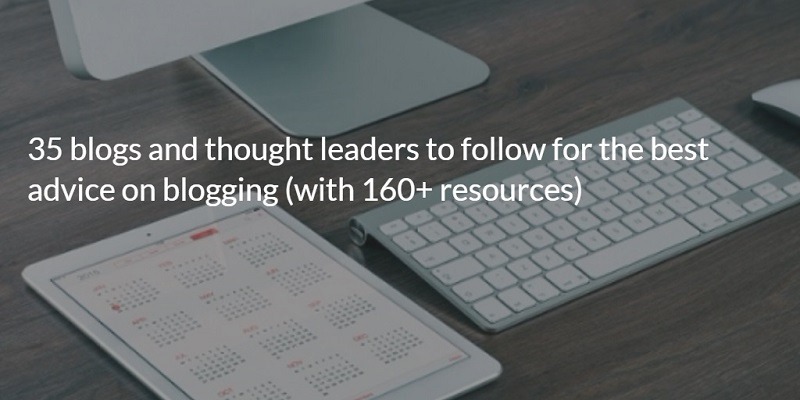 What are the other helpful blogs, posts and resources that you would like to add to this list? Let me know in the comments. Do share the post with your blogger friends or anyone else you think might find it useful.